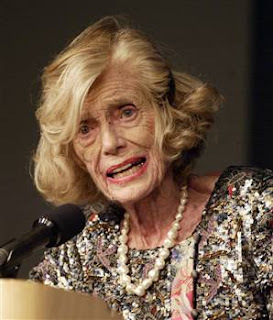 Eunice Kennedy Shriver passed away early this morning after a lingering illness. The sister of President John F. Kennedy and mother to Maria Shriver-Schwarzenegger, she was best known for founding the Special Olympics. Her life's work was advocating for children's health issues and the disabled. Our condolences to the Kennedy-Shriver family.